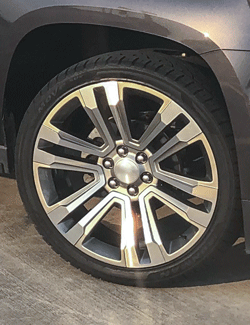 This bullit wheel and tire combination is a perfect fit for your 4th generation SN-95 Mustang. This set of four black 17x8 rims with a machined lip is guaranteed to fit stock Ford Mustangs from 1994-2004. The FR01 is an injection fed aluminum bullit rim, and is covered by a lifetime structural warranty. 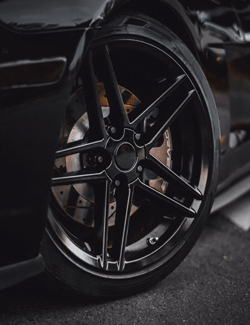 If you'd like a different custom wheel-tire set for your Mustang, just call one of our Sales Technicians at 866-273-3651 and ask about deals on ourmany other leading tire brands.